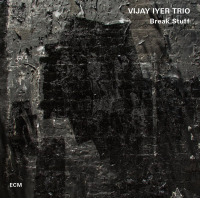 New York-based pianist and composer Vijay Iyer is a rhythmic explorer whose piano trio album Historicity (ACT, 2009) is a cohesive and vibrant record that carries its creator and his colleagues firmly into the mainstream of modern music. 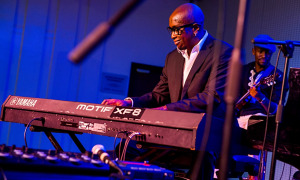 The album stems from, among other sources, a succession of striking piano trio influences such as Duke Ellington's trio recording with Charles Mingus and Max Roach, Money Jungle (Blue Note, 1962), the small group Blue Note recordings by Andrew Hill, and the groundbreaking African Rhythms Trio of Randy Weston. On the way, Iyer's interest in 1970s R&B and funk, classical polytonalists such as Gyorgi Ligeti, and hip-hop rhythmic structuralists like MIA are infused. Though there is, of course, no guitar on the album, the general feel of Jimi Hendrix's Band Of Gypsys (Capitol, 1970), an album Iyer mentions as one of several "reference points" for the album, is not an inappropriate comparison. Historicity is a rocking, funky album as well as a record that exhibits fluid jazz playing, and it communicates intensity and communicates instantly on a number of levels. 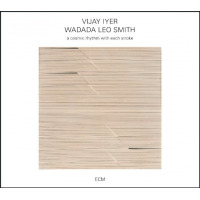 As Iyer says in the liner notes to the album, "music connects ... carrying us smoothly across the tumult of experience..." With tunes ranging from Leonard Bernstein to MIA, it is also a trip across apparent musical divides, divides that Iyer shows to not really be divides at all. Different "genres" of music are themselves also interconnected. The album has a main focus on jazz and R&B from the '60s and '70s, but whatever the source of the influence it is always music that, to paraphrase Iyer's own words, is trying to tell you something. The record also has a seamless, connected feel, and this arises from two factors: the meaning behind the covers on the album, (some of which also have a calendrical, "zeitgeist" connectionthree of the covers were originally released in 1972)and also a subtle thematic connection between the tracks, although different writers, including Iyer, are represented. In keeping with the authentic funk and soul feel of the music, the album is also available on LP, the first of Iyer's to be available in the format. 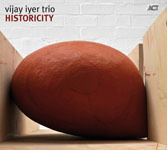 Historicity may act as a kind of "through-composed" melodic fusion of Iyer's journey so far and, also, as a breakout into new rich musical territory. So What Is Jazz Now? 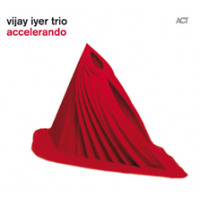 Iyer's trio (at times in the past a quartet, with the addition of the sometimes haunting, at other times lush, Rudresh Mahanthappa on alto saxophone) is his main group and touring vehicle. The other two members of the trio are the percussive Stephan Crump from Memphis, on bass, and Marcus Gilmore on drums. Gilmore is a grandson of Roy Haynes. Iyer's first trio album Memorophilia (Asian Improv) was released in 1995. 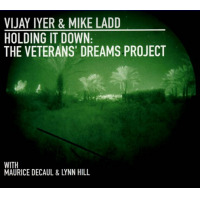 Iyer is also known for other formats, including his "second" trio "Fieldwork" (comprising Iyer, and co-leaders and co-composers alto saxophonist Steve Lehman and drummer Tyshawn Sorey), his duo with Mahanthappa called "Raw Materials," and the two brilliant largely electronic collaborations with poet and spoken voice/hip hop artist Mike Ladd, and for other projects, including a recent orchestral commission. Iyer's albums have primarily been comprised of original compositions, but Historicity is largely covers, with Iyer originals beginning and ending the record. Jazz musicians, even composers like John Coltrane, have of course frequently played coversin fact, the concept of "covers" didn't really exist in earlier jazz, as most records were covers. Musicians usually played other people's songs, Tin Pan Alley tunes. Iyer, born in 1971, is however a product of the rock, soul and R&B era of the '60s, '70s and '80s, an era where artists have usually written their own music from the ground up. So, he has usually recorded his own music. A trend of the trio visiting other tunes has developed only in recent times. When looking for covers, Iyer has been drawn to music with interesting musical structures, such as "I'm All Smiles" from Tragicomic (Sunnyside, 2008). This is similar to Duke Ellington, who, when he was looking for covers, chose music with interesting chord progressions and melodies. 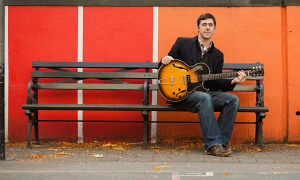 And, not surprisingly, given the tendency of the free-jazz/rock era to produce tunes that operate on more than just the musical level, Iyer has also recorded pieces that convey messages or lyrical tension, such as John Lennon's "Imagine," or Jimi Hendrix's take on "Hey Joe." Stevie Wonder's "Big Brother" is one of the covers on Historicity and is a good example of the latter. Iyer says that there is what he calls a "disruptive" element to most of the covers on the album. This element appears to arise from the quest of the original writers to assert an identity or to find a place or a stake in the world, or at least to comment on this attempt by others. As the majority of the new covers are from the early '70s, they reflect a time of civil struggleand big musical changes in Afro-American musicin America. The album title itself is a pointer to what the album does. The word "historicity" (as explained in the liner notes), means the ability of a subject to be positioned or recorded in history. On the album, Iyer looks to this turbulence of the early '70s. He also updates the theme with an equally impassioned original, "Galang," by the modern British-Sri Lankan artist MIA. 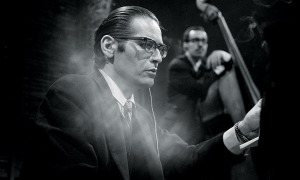 In addition, the album contains an excellent version of the inventive "Smokestack" by Blue Note pianist Andrew Hill, from his 1963 album of the same name. Thus Iyer seems to also represent the civil rights expansion of the '60s, to set the scene for the '70s numbers. Bernstein's brilliant tune "Somewhere" (from "West Side Story") appears, at first sight, to act as a kind of contrast, standing as track two on the album. Yet, given its theme of individuals looking for a place to fit in, "Somewhere" may actually be on the same page as the other (musically) restless and disruptive covers. The inspiration for the original of the MIA cover, the current civil war in Sri Lanka, shows that strife is never far away from somewhere in the world. Maybe the point of the "Somewhere" cover (apart from a possible thematic aspect) is that its message may be the antidote to this disruptionsomewhere, if you keep looking, there may be a place free of disruption, or an eventual way to make a space for yourself, a place to find sanctuary, a place to belong (as the lyrics of "Somewhere" so eloquently state). The theme of focusing on or reflecting certain events in history has always been a part of Iyer's music. Earlier examples are Panoptic Modes (Red Giant Records, 2002), which was written in the aftermath of 9/11, and Reimagining (Savoy Jazz, 2005), which is from the period immediately after the 2004 Presidential election. There are also the collaborations with Mike Ladd. In these endeavors, Iyer is reacting to that "tumult of experience" mentioned in the liner notes, and this gives hismusic an added depth. As he also says, "it's the past that's setting us in motion." Historicity uses covers, and the trio's cohesive interpretation of them, to achieve this. Iyer himself is probably in a unique position to make commentary on such musico- historical areas. His parents came to America from southern India, settling in the Rochester, New York area, and so he is familiar with issues of social changes, people fitting into a new environment, diasporas, and so on. He speaks of being inspired by the (cover) artists' strivings to make a space for themselves as artists, and he clearly has a special connection to this state of being (or progression). His speech frequently includes words such as "connect," "dialogue" and "discourse," showing the need to communicate strongly is a paramount factor in his art. Historicity is the first Iyer album to focus on an area before the current day, rather than have a record reflect the aftermath of a recent event such as 9/11. The use of cover tunes with a similar flavor and feel is a tremendous way to do this, and of course the message is still valid today ("Galang"), if not timeless ("Somewhere"). The music may communicate the thread and meaning of these connected eras, events and quests, but the tracks also share the common musical thread of funk and R&B and groove, brilliantly conveyed and melded by the trio. For the listener, possibly oblivious to the history, the result may be simply a surging, pumped-up and lyrical recording of today, pointing a way forward in music. Musically, this is what it is, yet, standing back, Historicity is a great example of what can be done in arttaking a subject and, with varied influences, producing something new and striking. As a composer, Iyer has a very broad range of influences, including non-Western concepts of rhythm, Western classical music (particularly modern composers such as Ligeti, who work with smaller units of music that are then extended), and, as is evident on this album, rock, funk, R&B and soul. All this is added to the influences of the usually recognized "jazz" composers such as Ellington, Monk, Bud Powell, Coltrane and Weston, and of other jazz identities. The best albums have a strong unity between the tracks, and Historicity has exactly this. Iyer's composing (and in the case of the covers, re-composingthe liner notes carry the words "arr Iyer" after the composer's name), as well as the theme of the messages exhibited by the covers, ensure a cohesive record. It is more than a series of tracks. Iyer explains that he carefully chose the order of the tunes. There are even approximate thematic links between them (including the covers), beginning with the characteristic triplets on which Bernstein built "Somewhere." Iyer's own compositions on the album also generally have one small, essentially melodic figure, around or through which the piece is built. In the covers, where such a figure does not already exist, Iyer has inserted one (for example, Iyer uses the three-note figures in "Smokestack" and also in his own tune "Helix" to prepare the listener for the approaching end of the track). On all levels, the album smoothly crosses the (apparent) musical barriers as if they were just a bend in the road. For example, the tracks most widely separated in time and genre, "Somewhere" and "Galang," may appear to have nothing in common, but Iyer shows there are still connections. Both are created from simple, repeated musical figures and both have the same broader thematic connections in their messages. Iyer has united them, showing that music really is all one connected thing with the purpose to connect people and to communicate. The trio performs magnificently: bassist Crump plays percussively and at times, like Iyer at the piano, provides dramatic extremes of pitch. Drummer Gilmore provides a myriad of funky, complex textures. Iyer says the trio thinks of itself as a rhythm section (as much as it thinks of itself as a musical unit performing other musical roles). Rhythm is a major contributor to the power of the album. The trio's funky cover of the Ronnie Foster track "Mystic Brew" has already been uploaded to Youtubethe introduction has "hook" written all over it. Historicity is a combination of rock, funk, soul and jazz: these influences have always been present for the trio, and are now fully displayed together in one album. Some previous commentators have described Iyer's music as "spiky" or pointy, but this album is all funk and groove, despite its intriguing underpinnings. 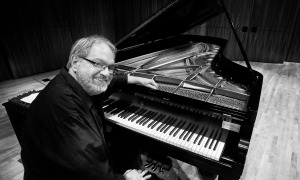 Iyer is keen to highlight the particular album and group models that have influenced the album, such as Duke Ellington's trio recording Money Jungle. The trio follows firmly in the footsteps of these great forebears. The overall feel of the album is almost like a rock album. Like Band Of Gypsys, which is a live performance, and like Money Jungle too, it is also not difficult to imagine the record as a definitive theatre-style concert. 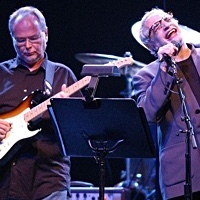 When the trio played the Newport Jazz Festival in August, all the tracks were from Historicity, even if Iyer felt compelled to segue the title track into "Big Brother" because of the time of day at which the trio was playing. 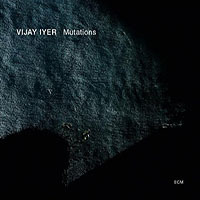 Iyer's piano style, a percussive powerful approach with the color of Powell, the intense "rod of iron" that Cecil Taylor maintains through his pieces, and the keyboard scope of Weston, has over time evolved into a more complex style (as his technique has expanded). His early albums (such as Memorophilia and its expansive successor Architextures (Red Giant Records, 1998) were bright and clear. The later albums have been more complex (for example, the excellent Panoptic Modes). There are also "world" influences in Iyer's music. 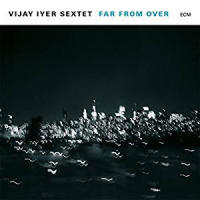 In his fusing of these approaches with his other influences, Iyer can be seen as a spotlight on what is happening in a lot of music now in general, even beyond jazz, where an increasing attention to "world" music is a trend. To the extent that he has focused on era and message-related covers to draw together a feel, a musical entity that is this album, Iyer has maybe opened up a new path that may be mined more in the future, and not just by Iyer. Other musicians could follow this example. The album is more than new jazz: it is new music that powerfully reaches beyond any one category of music.